Churned out of yogurt or dahi, lassi is very beneficial for the digestive system. Love to drink lassi? A new book on varieties of lassi offers recipes for a healthy living. 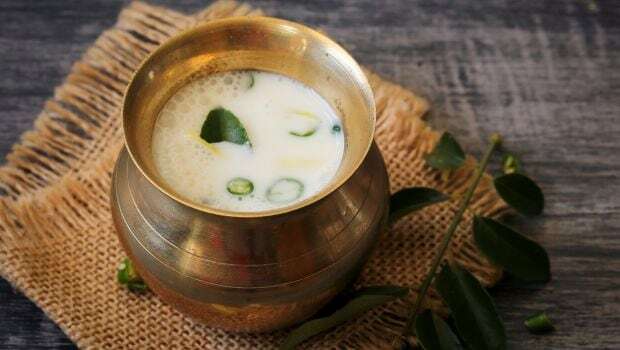 Lassi is a staple drink that accompanies culturally diversified Indian cuisine and is full of therapeutic properties. The book -- "Lassis of India - Smoothies with a Twist" by Radha Bhatia -- attempts to span five generations of stories, wisdom and recipes. "The idea of writing a book on lassis occurred to me when I realised that in today's fast paced and hectic life, a healthy lifestyle and eating habits was a universal concern. Almost everything available for ready consumption today is processed, full of artificial flavours, colours and preservatives," Bhatia said in a statement. Lassis of India is a compilation of 74 traditional recipes from various states blending with the local food and climate. The rest are lassis with a twist -- prepared with herbs, fruits and nuts which would attract the younger generation.